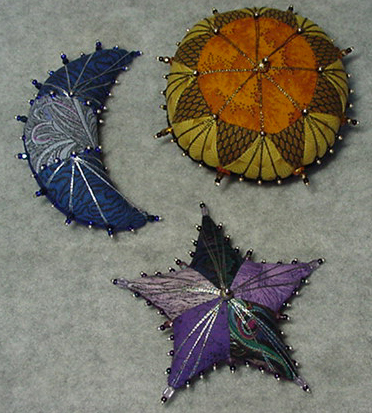 Pattern contains three pieced pincushions with a celestial theme. Each incorporates the use of beaded pins and metallic thread wrapping techniques. Great way to use bits and pieces of fabric.